Luigi Benzoni is a Venetian artist. He was born in the Province of Bergamo in 1956. He moved to Venice at a very young age. By 1976 he was able to start his business in Venice. He had studied architecture and specializ ed in the history of art. This inspired him to experiment with various media of art. He started the exhibition of his work in Venice and abroad in the first half of the 70s. He had started his career as an artist who used oil paint as his medium. Later he started experimenting with glass, porcelain and even bronze. Most importantly he was able to combine his painting skills and sculpting skills to produce incredibly novel structures. He seems to have an obsession with human faces. This he had reproduced in porcelain dishes, glass blocks and bronze. The main distinguishing feature of a Benzoni art face is that it used only the essential lines to present a human face with its uni que expressions. Even if the simple lines barely outlined the features, it clearly impressed the viewers with the contours and shapes. 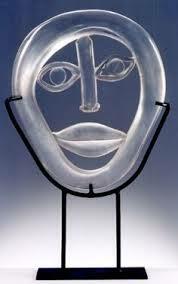 The glass sculptures with just the outline of the face, eyebrows, nose and lips still made an enigmatic face. 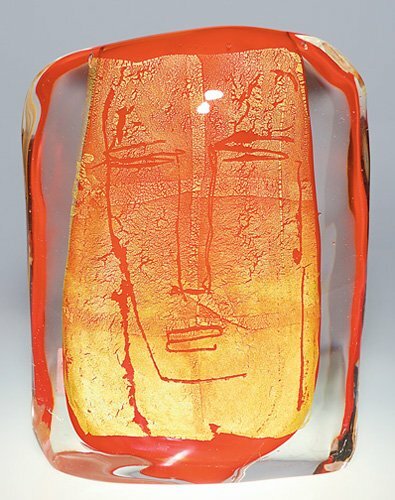 When the face was reproduced inside glass blocks, the immersed gold leaf and a few essential lines clearly depicted the thoughtful expression on the face. This technique of extracting only the essence in a picture made Luigi Benzoni a unique artist. His art hung somewhere between the abstract and the concrete and that is the very specialty of Luigi Benzoni creations. 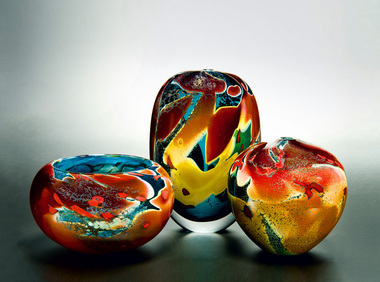 He used many of the traditional Murano glass art techniques like blowing and layering to produce these sculptures and vessels that clearly bore his mark. He has mastered the art of appliqué of precious metals like gold to c reate objects in his own unique style. 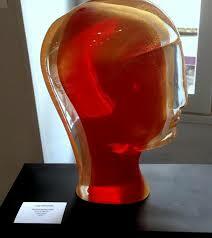 He has also created silhouettes of human faces with the bare minimum of curves, still producing a stunning effect. 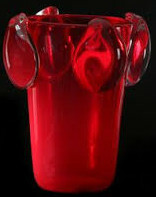 The vessels produced by Luigi Benzoni remains the rarest examples of a combination of murano art and contemporary art. 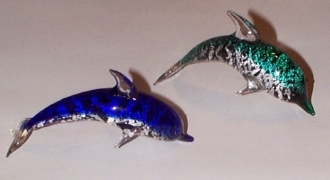 He knew how to color glass by submerging dust particles. 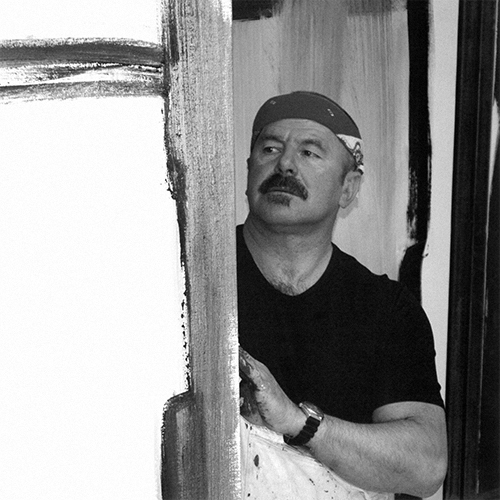 As an artist who can sketch, paint and blow glass, he became an all rounder in the art. 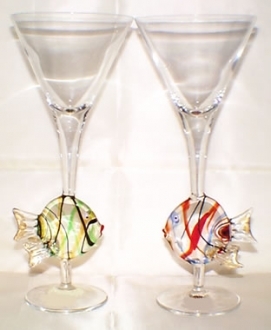 He realized from a very early stage of his art that glass is an apt medium to convey ideas in the most exceptional way. He experimented with it to produce a set of articles which are bespoke. 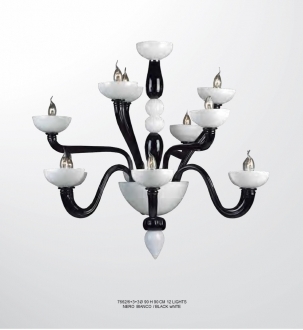 Without doubt, Luigi Benzoni’s art renovated the diminishing image of Murano glass art and once again put it at the top of the glass art.